I often get calls from people that are charged with driving without a license, or driving on a suspended license, that don’t understand the difference between the two charges, and understandably so. When the officer cites someone for either of the charges, they often fail to explain to the driver the meaning behind the statute listed on the citation. There is a difference between “driving without a valid license” under Vehicle Code 12500 and “driving while your license is suspended” under Vehicle code 14601. Driving without a license is generally charged in California if someone is driving without driver license issued ever issued to them, with an expired drivers license, and often even when someone is driving with a valid drivers license from another state or country. Further, there is another similar charge (VC 12591) if you technically have a valid CA driver license but did not have it on you when you were stopped by the officer. Driving on a suspended license is a more serious charge than driving without a license. There are different variations of driving on a suspended license, charged under VC 14601 or one of it’s subsections. 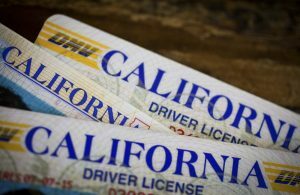 Generally though, you are charged with driving on a suspended license if you have a California drivers license but for one reason or another your drivers license is suspended by the DMV. Depending on what your license was suspended for (ie. DUI conviction, outstanding tickets, underage zero tolerance issue, etc. ), that can make a difference on which subsection of VC 14601 you are charged and what the potential penalties are. Although both charges are serious and can lead to misdemeanor convictions, the penalties for a VC 14601 driving on a suspended license are generally more severe than a VC 12500. The main reason is, VC 14601 is 2 points on your DMV record, and is a priorable offense, meaning the penalty can increase for each additional VC 14601 conviction. Alternatively, VC 12500 charges carry zero DMV points and are not priorable. Although both charges can result in a misdemeanor, probation and jail time, Prosecutors tend to be more aggressive in VC 14601 cases as compared to VC 12500 cases. Further, if you were on probation at the time you were stopped and cited for driving on a suspended license or driving without drivers license, that can create additional problems. It is important when possible to avoid a misdemeanor conviction, and all the potential consequences that can go along with it such as jail, probation, and large fines. I have successfully gotten both VC 14601 and VC 12500 charges dismissed (including doing so today, the day this article was posted). If your case is in Southern California, contact me at 818-336-1384 to discuss for a free consultation. Click on the link to find out more info about VC 14601: Driving on a Suspended License, and Driving without a license. Handling DUI and Criminal matters throughout Courts in Southern California including Los Angeles County, Ventura County, and Orange County Courts.